The TomTom Golfer 2 golf GPS watch is the updated version of the original TomTom Golfer golf watch. This version of the golf watch offers great improvements and makes the golf watch a bit more modern and lightweight. You probably recognize the TomTom brand from car GPS units. Long before TomTom manufactured golf GPS watches, TomTom produced the handheld GPS units that we used when driving before the advent of cell phone navigation. For TomTom, the transition to golf GPS watches was natural (much like it was for Garmin). The TomTom Golfer 2 golf watch offers golfers a clean and simple golf watch that is lightweight. This golf watch also has a unique characteristics that separate it from the competition and is one of the best golf watches for the money. 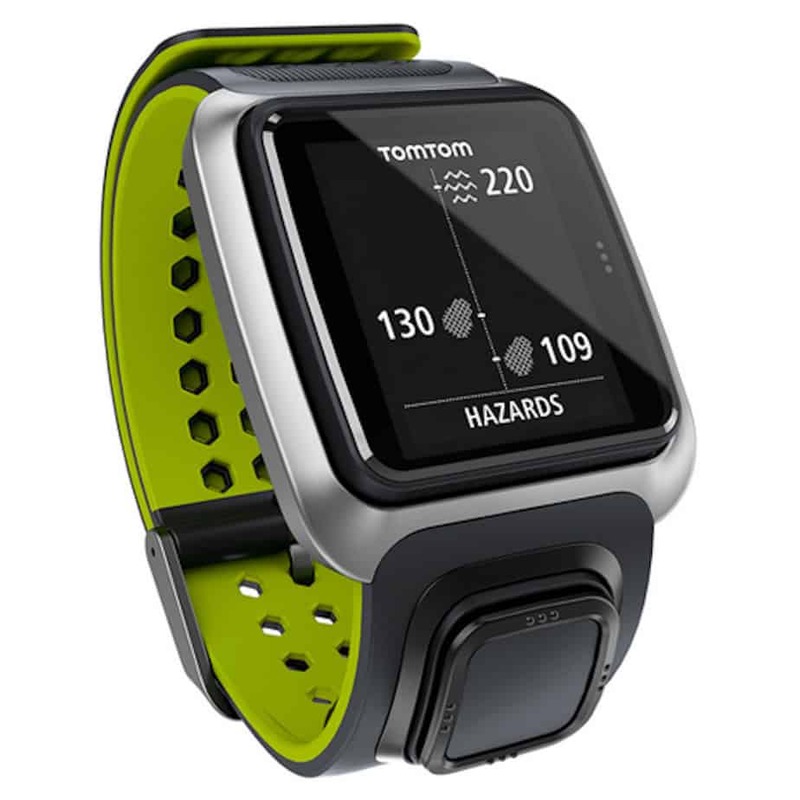 The TomTom Golfer 2 golf watch gives you the exact yardage to all hazards on the golf course. The watch come equipped with “hazard view” function that gives you he yardage to the front of a hazard as well as the yardage to clear it. 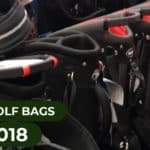 It will also identify the type of hazard (water, bunker, etc.). This is a great characteristic of the golf watch. Many golf watches tell you the distance to the hazard (giving you a layup option), but fail to tell you the yardage to clear the hazard. 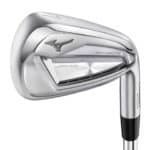 This yardage is particularly helpful when you want to play aggressively (on a par 5) or simply believe that you can clear the hazard but want to double check the yardage for proper club selection. The TomTom Golfer 2 features a few unique features that other golf watches do not have. 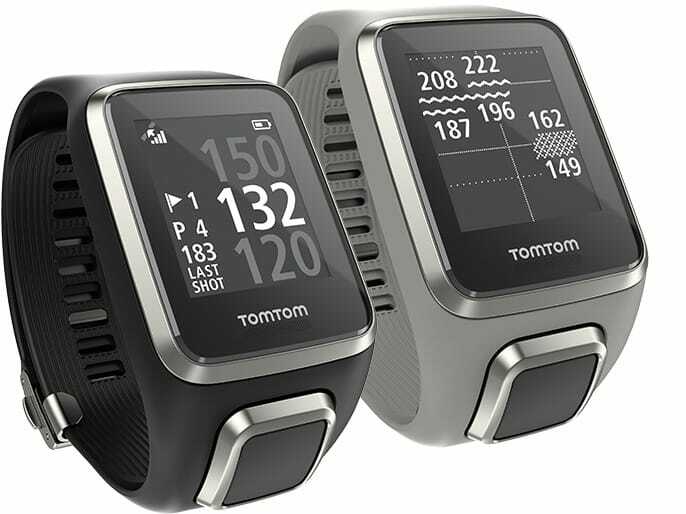 With the TomTom Golfer 2, the golf watch will automatically detect a swing of the golf club and will track how far you walk to your next shot. This provides you with real time shot by shot data covering how far you hit the golf ball. 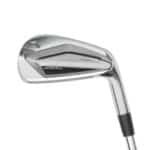 This an be very helpful on days where you’re hitting it a bit longer or shorter than usual. In addition to detecting the distance the golf ball has traveled, the TomTom Golfer 2 records each shot for post round analysis. With this data you can easily see where you picked up extra strokes during a given round. 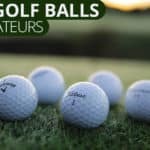 If you see that you have a bunch of 30 yard chip shots following a round, you’ll know that you need to sharpen your accuracy on approach shots. Like other high-quality golf watches, the TomTom Golfer 2 also boasts an scorecard for easy scorekeeping. The display size of the TomTom Golfer 2 golf watch measures .87x.98″ and it is .5″ thick. This is much slimmer than its predecessor. The new design is vivid and easier to see. Its rectangle shape is an added benefit that allow the layout of the watch to be clean and logical with a top to bottom flow. By making the watch a rectangle TomTom is maximizing the use of the watch’s surface area. 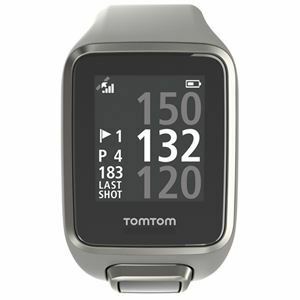 According to TomTom, the battery life on the TomTom Golfer 2 golf watch lasts for 11 hours in GPS mode. This is pretty good when compared to its competitors. This golf watch will last you two long weekend rounds at the very least and potentially more if you play fast. This golf watch also comes loaded with an activity tracker. For all of you who like to track steps and exercise either during golf or when off of the golf course, this is a great feature of this watch. As you can tell by our list of pros and cons, we really like this golf watch. It boasts a ton of features that are only found on the high priced premium golf watches without matching the price tag. 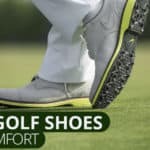 This golf watch offers you just about everything that you could want in a golf watch for a great price. Although there are a few kinks that TomTom needs to work out, this is one of the best golf watches for the money when you consider all that you get. 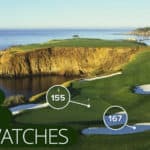 If you’re a golfer who wants a clean watch with great features and you particularly like to engage in post round analytics, this is the best golf watch for you.